“You cannot be serious!” These are the words proclaimed by the Business Partnership team when a business sale breaks down unexpectedly, and sometimes for bizarre reasons. Buying and selling businesses is a complex and often lengthy process. So it’s comforting to know there are experts like us who are here to support you through the experience. In reality buying or selling a business isn’t always easy – business sales can fall through for a number of reasons, so it’s important to prepare for the possibility. Some of the common reasons why sales might not reach completion include unexpected health issues, acrimonious divorce or separation, bereavement, and disagreements between partners or shareholders. Disputes over ownership of company cars can also become quite heated. We asked our experienced and knowledgeable Regional Partners for some true stories of business sales that have broken down and the unpredictable reasons why. The vendor of a three-storey restaurant accepted an offer on condition the purchaser cleared out all the old furniture. The purchaser agreed it was detailed in the Heads of Terms. Several weeks into the sale, the purchaser changed his mind and asked the vendor to clear out the furniture and fittings. The vendor disagreed pulled out of a deal worth £440K to him. Ironically he could have hired a clearance company for a few hundred pounds to do the job, effectively throwing away £339k! The lease terms for the sale of a bookshop included three parking spaces in an adjacent car park but only two were legally theirs. A third parking space was offered at a special low annual rate, payable to the local council. This wasn’t enough for the buyer who withdrew their 70K offer at the last minute. On the eve of completion for the sale of a large brewery worth more than £1M, we received a call from the bank. It had come to light that the building did not have planning consent to be a brewery despite having traded from their location for 23 years. The chief solicitor for the local council tried to intervene but failed to satisfy the bank that all would be resolved and funding was withdrawn. The deal collapsed. After exchange of contracts the buyer of a pound shop had a reality check. He realised that to achieve sales of £17,000 per week he would have to move at least 17,000 items of stock – something he wasn’t willing to do at his stage of life. His eureka moment cost him £50,000 in compensation. A man instructed us to sell his business. Initial checks showed he didn’t own the business. He was trying to sell it whilst his manager (the real owner) was away on holiday! The unfortunate incident of the company that burned down a day before completion. A tragic, unforeseen event, but so close to completion, the finance director had neglected to renew the insurance cover which had expired days beforehand. Everything was lost. These honest stories highlight the importance of carrying out due diligence checks before proceeding with a business sale or purchase. It also highlights the importance of ‘business as usual’ until the sale fully completes. Sadly, some purchases are just not meant to be. Our advice is to enter into a purchase/sale with your eyes open. 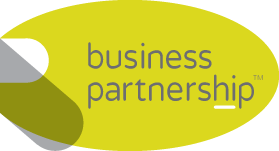 Your local Business Partnership representative can support you along the way and ensure, as far as possible, all necessary checks and due diligence are carried out.